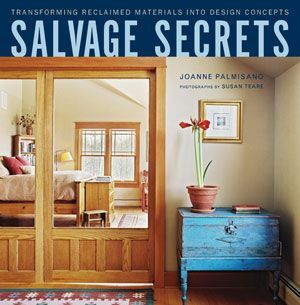 Two of our projects are featured in Salvage Secrets “Transforming Reclaimed Materials Into Design Concepts”. The book was written by longtime friend and author Joanne Palmisano with photos taken by our friend Susan Teare. Our two projects included in this book, published by W. W. Norton are the Charlotte Lakeview Remodel and the New Haven Transformation.